A few days ago I decided to take a trip to my local Sephora and I stumbled upon this little treasure! 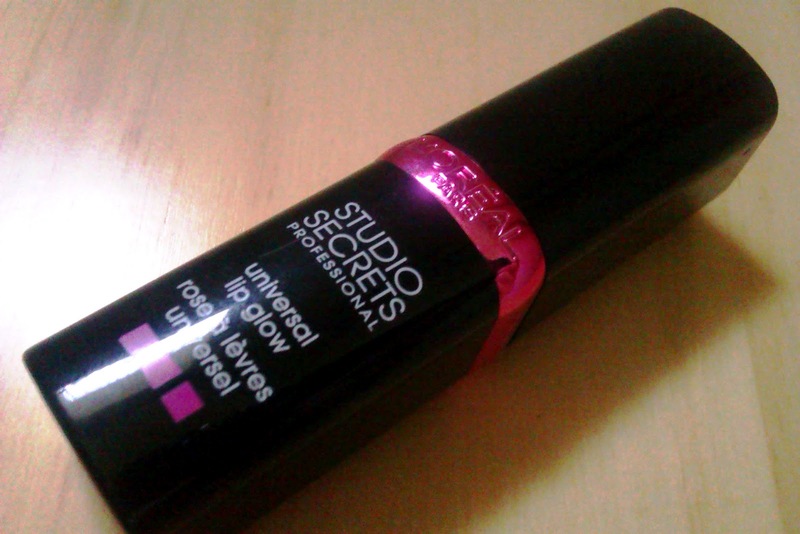 It’s called « Studio Secrets Universal Lip Glow » by L’Oréal Paris. I’m not quite sure what caught my eye at first, maybe it was the very appealing sleek black and pink packaging or just the fact it was screaming : TRY ME!!!. 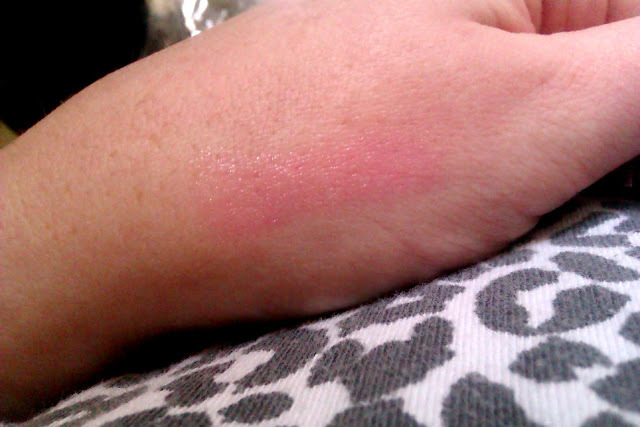 I opened it up to find a curious pink translucent sort of lip stick. I’ll admit it, I thought it was just going to turn out to be a fancy lip balm ... but then came the mind boggling swatch. In a blink of an eye, it had gone from transparent to pink! *Mind just blown* From that moment, I was hooked! That magical transition had me frantically striding towards the checkout and forgetting why I had actually gone into the store in the first place. It looks so elegant ... perfect to just slip into your handbag! As you can see, it looks quite fancy for a product that only cost around 14 euros (only £8.49 in Boots (click here)! You jammie lot back in the UK !) I can’t complain about the odour as it doesn’t really have one (unless you count a slight lemony tinge when you first purchase it). 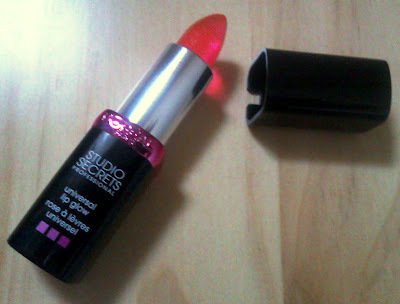 It glides on easily enough and I really adore the fact that it adapts so naturally to my lip colour. I find it really difficult to get the right shade of lipstick for my pale skin and this seems to be the solution! Plus you don’t have the hassle of getting it everywhere, especially on your teeth! I would say that you'd probably get away with applying this blindfolded which is a bonus for me as I'm as blind as a bat. The sheer and modest shimmer of this Lip Glow is so appealing and would compliment most skin tones. The only downside to this product is that it tends to dry my lips out a little, so I always apply a transparent lip balm or Vaseline over the top just for good measure. Be patient with the product as when applied to the lips (since they are already coloured), you won't notice it yourself straight away. Another downfall is that you'll most likely never get the same shade twice (in my case anyway) because the product reacts to the warmth and moisture of your lips. Personally I’m really enjoying it so far and hope that this review has maybe helped someone take the plunge into Lip Glow paradise. 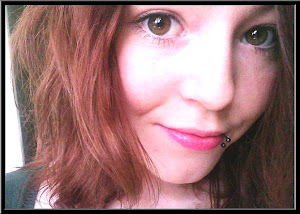 As I mentioned before, I rarely wear lipstick beacuse of my skin colour and extremely dry lips. This product has managed to fish me out a few compliments for the dash of colour that it adds to my lips ... (oh yeeeaaah!) It gives a complete natural finish to your lips without the hassle of a lipstick ... who said magic doesn't exist, eh? As you can see, the pink achieved always seems to vary ... but it still looks great!